Every superior, beginner, intermediate, and advanced, music workbooks with their teachers edition (the help book), Instructional-Create Music Notebook, operatic broadway rare collector pieces and loved favorites CD in a jewel case, holiday music with CD, and inspiring messages story book products are affordably priced with discount. Music is an art form that is universally loved and respected. 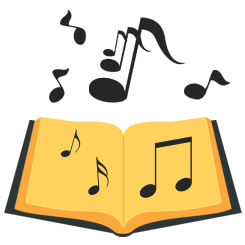 With the help of C. R. Carole Music Workbooks Incorporated, you will improve your skills and understanding of music. This gifted, recognized artist has performed to the highest honors and loves teaching. Now, she shares her knowledge and passion through a series of workbooks, perfect for both teachers and students. Even self-taught musicians now have access to the valuable education that she worked so hard to achieve when she was younger and continues to achieve up to the present day. Whether you are trying to learn music, teach kids piano lessons, learning how to play piano yourself, or just trying to learn music with any instrument, please get in contact with us for more information. Piano & Voice Instruction: Academics - Techniques - Theory - Expression & All Types of Music. "Expand Your Teaching Practice and Student Music Abilities! My Students Love Their Music Workbooks! with Knowledgeable to Professional Quality!" Get the music education you've always wanted. The Music Workbooks with Teacher Editions (The Help Books) are revolutionary, none like them in the world. Check out my special offers and call (877) 977-7690 with any questions you might have. I've been a praised opera singer, trained by world famous opera singers from Europe and a respected musician for most of my life. At age 10 1/2, I was the youngest student to be accepted into The Juilliard School of Music in New York, where I attended and received the highest scholarships six years in a row. At age 15, I was the only opera singer in thirty years who was permitted to sing in Juilliard's End of the Year Concert. I was always the lead and featured guest artist wherever I performed. Thousands of people came to hear me. I was written up in the newspaper with my picture and called a diva. I also took dancing, ballroom, tap and ballet in private school, and received a medal for ballroom dancing. I was one of the chosen prodigies to study with top voice and piano teachers at Nasson College in Maine, sponsored by The Berkeley Music School in New York. I performed in both opera singing and piano in the Nasson College concert hall. Having been offered contracts after singing for the audition team at the Metropolitan Opera House, their head agent then offered me contracts to sing in opera houses all over the world. At age 15, I was the first opera singer chosen among 600 auditionees to star as Gilda in the Opera Rigoletto by Verdi in a new opera company opened in New York City by two world famous opera stars. Two months into rehearsals, the world famous baritone suddenly died from heart failure and the new most promising opera company had to be sorrowfully closed down. I also performed in Woodstock, upstate New York as a featured guest opera singer. I sing in 9 different languages and teach voice, piano, flute and violin. I learned flute and violin in my high school orchestra. that extend into the advanced level with materials available to both teachers and students. Based in Old Bridge, New Jersey, I share my knowledge and create easy, clear instructions for any artist from beginner to upper advanced skill levels which can be very challenging for students and performers. These are revolutionary learning materials that allow you to learn on your own, in groups, or with a teacher. You can find these books in the Library of Congress, and each one is written and arranged by me, the president and founder of my corporation. I am also an author, musical prodigy, opera singer, pianist, performer, poet, and teacher. I've enjoyed teaching, performing, composing, and writing most of my life, and now I look forward to sharing my gift and music books, CD's and inspiring messages book with students of beginner to advanced professional skill levels, including the general public who purchase the operatic CD, inspiring messages book and the children’s family Hanukah song. These exceptional workbooks and all 10 products took 24 years to strivingly complete. Every product is printed with quality materials. Exciting Sale $39.95 Now: $34.95! $10.00 discount with purchase of Advanced Music Workbook with Advanced Music Workbook TEACHERS EDITION (The Help Book) Set. FREE SHIPPING! 108 pages. Even though a grand piano appears on the covers, these books cover the note ranges, music units, counting, rhythms and theory for all instruments. The music workbook pages and teacher edition, (The Help Book), yield proven results! Thank you for your interest. For questions, comments, and to order please use the information listed here. C.R Carole Music Workbooks Inc.